It is the season to be jolly, and with Christmas fast approaching, the nice folk at Glow-worm have been working faster than Santa’s little helpers to source top tips and advice to help us all enjoy a low carbon Christmas. The winter months are starting to set in, and with the expensive Christmas season just around the corner, we’re all looking for ways to help save energy and money. To count down the days running up to Christmas, the team at Glow-worm have today launched their fun alternative Christmas advent calendar. From now until Christmas Day, instead of the traditional festive images or chocolate treats, you will be able to feast on a variety of fun facts and figures and energy saving tips. Reduce your carbon footprint – ditch paper cards and send friends and family an e-card instead. Make your own recycled Christmas decorations. Use LED fairy lights – they use much less energy compared to traditional ones. If you really want to go to town you could decorate the outside of your home, but use energy-saving solar powered lights instead. You’ll be saving money on your energy bills if you use the sun’s renewable energy during the day to light up your house at night. 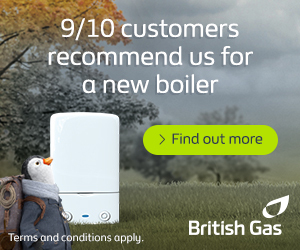 And last but not least, give your boiler the best present of all by making sure it’s had its annual winter check-up. A service will ensure you don’t wake up to any nasty surprises on Christmas morning – like having no central heating. We can’t imagine anything worse than a Christmas without any heating – except perhaps having to eat a plate full of sprouts! There’s no time like the present – pardon the pun! Check out www.needanewboiler.com to unwrap today’s first energy saving treat.